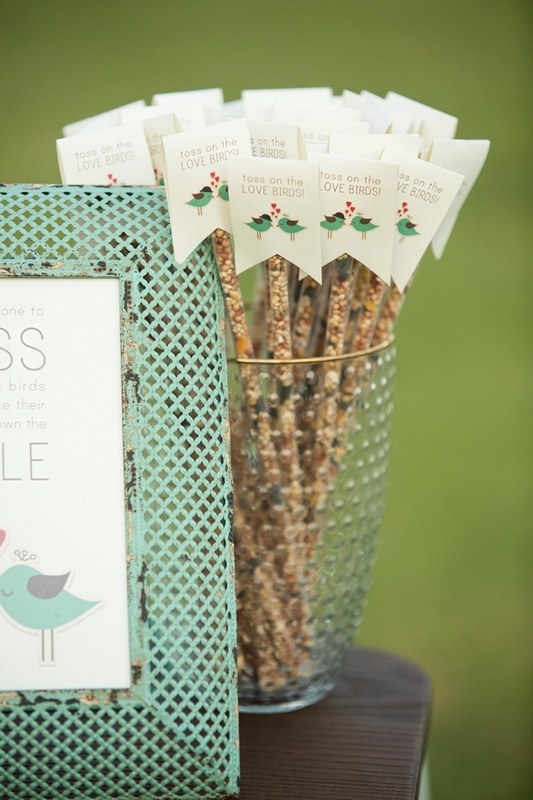 You HAVE To See This DIY Wedding "Bird Seed Toss" Idea! 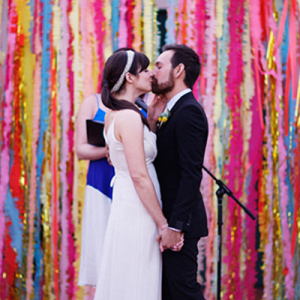 Pelting newlyweds with uncooked rice is a tradition meant to shower the couple in prosperity, fertility and good fortune. Oats, grains and dried corn were also used before rice became the tossing element of choice. We’ve all heard that rice makes birds explode and grains and corn are just weird, so why not birdseed! Let the birds of the air celebrate along with you and your friends and family by treating them to a free smorgasbord while participating in a time-honored tradition. 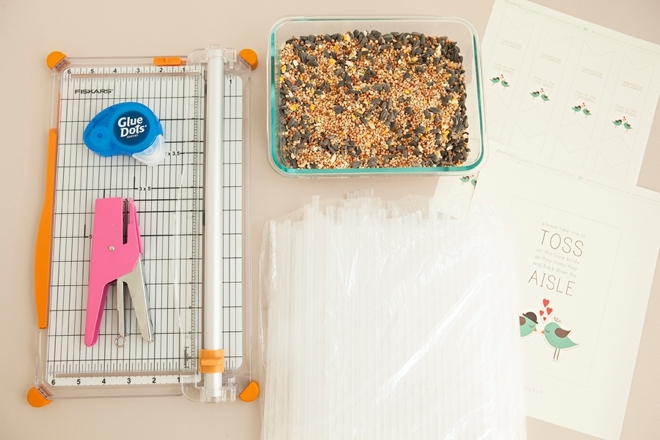 These DIY Birdseed Toss Straws are a darling and unique way to be eco-friendly and creative at the same time. They are also cheap and easy to put together, so win-win. 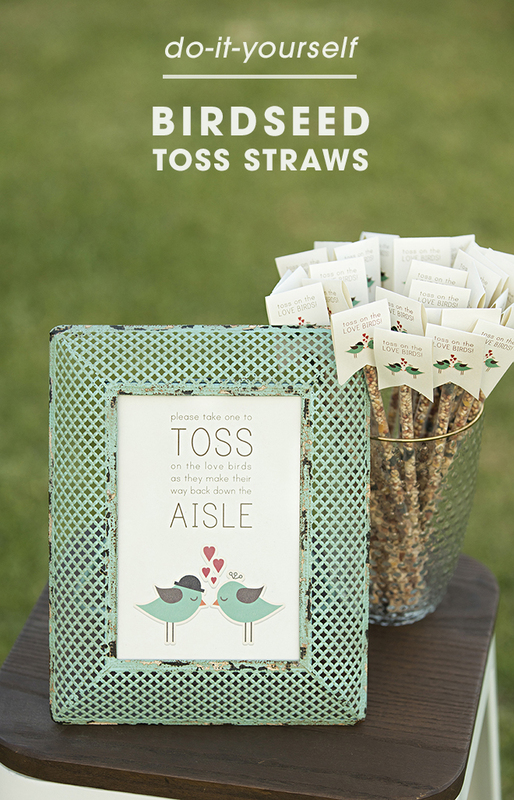 Now we just have to hope that your guests will make their “tossing” gentle! 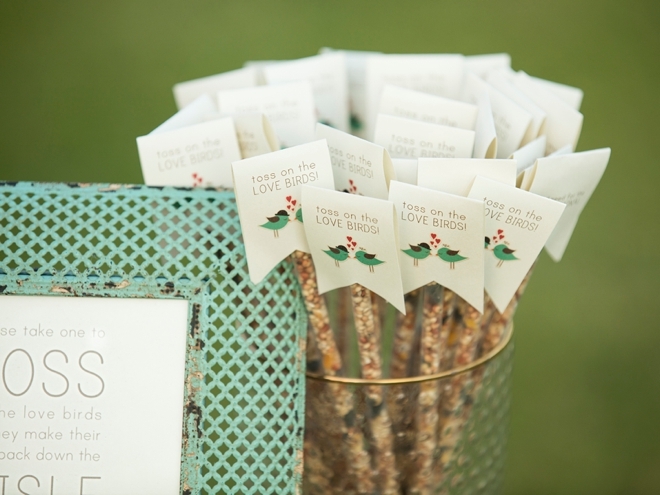 The way we’ve made these darling little “bird seed toss straws” makes it easy for your guests to remove the tag, empty the contents into their hang – and toss! Our free printables at the end of the post! Below I’m offering both a 4×6 and 5×7 free printable of this cute sign. Print onto 8.5″ x 11″ cardstock, trim on the lines provided and frame. Staple one end of each straw, this will be the bottom of the “stick”. Let’s Talk About Straws. These are labeled as .28″ diameter and to the naked eye it falls right at 5/16″. With the staple flattening the end it measures 1/2″ – meaning these mini-staples worked perfectly for sealing the straw. 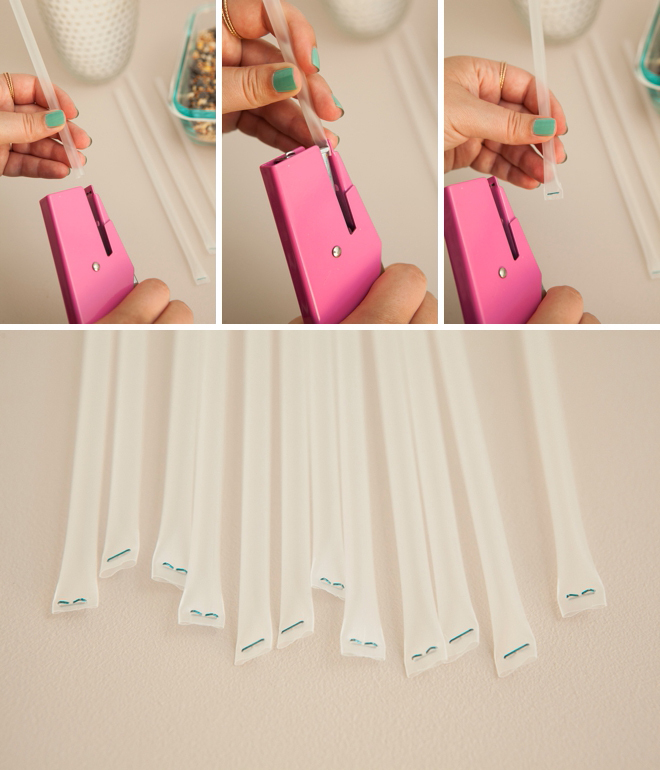 If you’d like to use a regular stapler, you’ll need to use a wider straw that is at least 1/2″ in diameter. 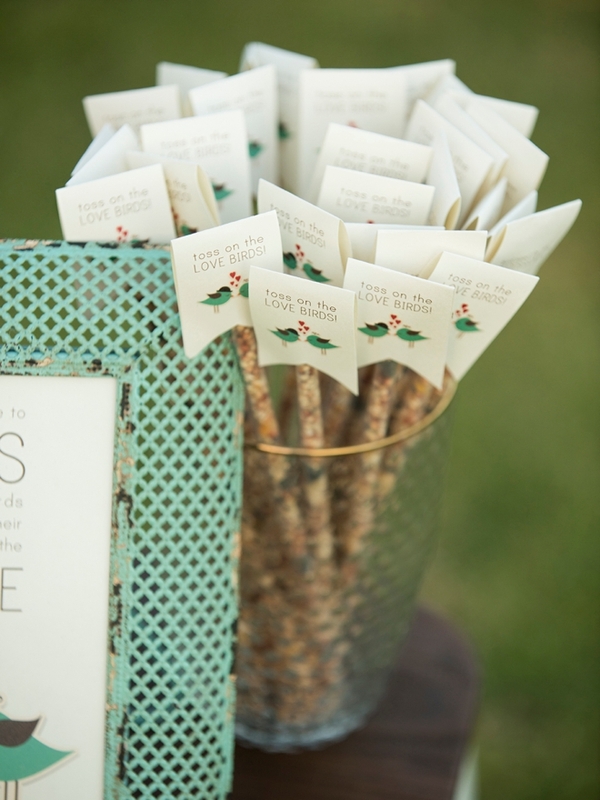 Keep in mind with a wider straw you’ll be giving more birdseed to each guest. Carefully add birdseed to each straw by hand working over a dish to catch the extra. I bought this mix from Amazon and it worked wonderfully for fitting inside the straw (I was a bit worried some of the seed bits would be too big, but they weren’t). However the bag is huge and it could feed a flock, but for less than $10 it was a great buy and now I can feed the birds out back. —-> Each of straw will hold .2 ounces of birdseed. 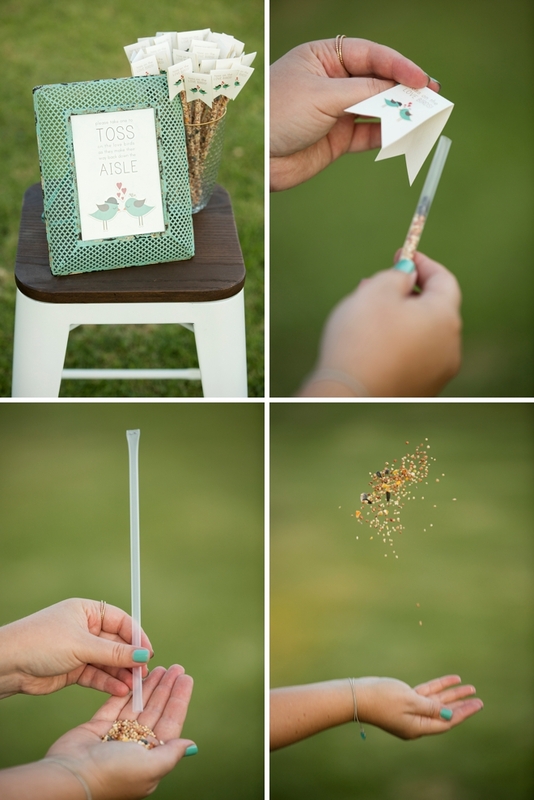 To close off the top of the straw, while still technically leaving it open for your guests to pour into their hands – place the tag firmly across the top. I pushed the straw into the fold of the tag and secured it with a few Glue Dots. 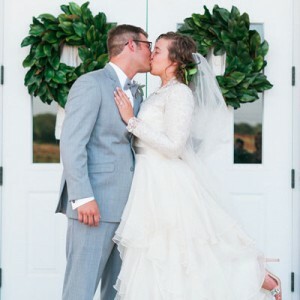 You can use any adhesive you’d like, maybe even a few dabs of hot glue – just remember you don’t want to seal it so securely that your guests can’t get into them! 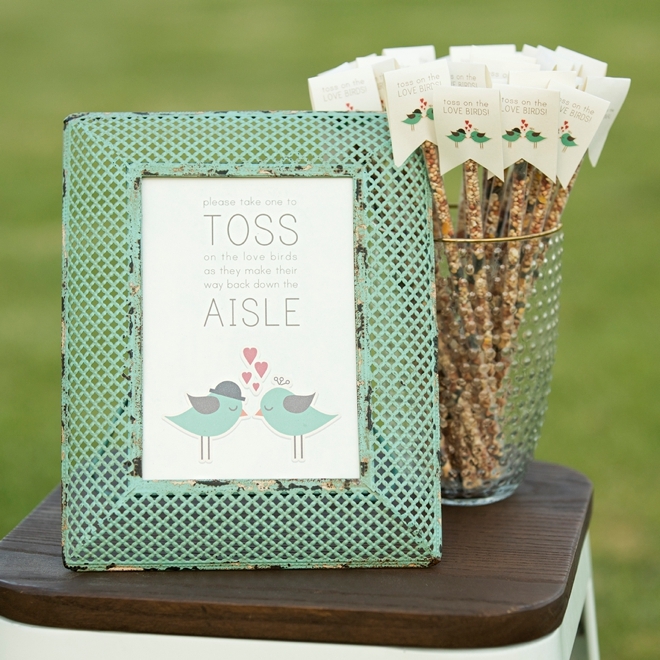 Find a cute frame and vase to display at your ceremony or maybe place one on each chair… in the meantime, I’ll be praying that your guests are gentle with their “tossing”!